This time next year, I will already be somebody’s wife. I will be married; legally tied to somebody ’til death do us part and all the rest of it. But please don’t call me Mrs. No; you may refer to me as “Ms”, just as you have for most of my adult life. That’s Ms Mandarano, in case you haven’t already figured out where I’m going with this. Yes, I’m keeping my name. My husband-to-be*, who shall remain nameless for the point of this exercise, is not entirely (read: at all) happy with this, and while I’m sure his somewhat-traditional European family will be outraged and share a few choice words amongst themselves—‘How dare she go against the grain! How dare she not conform to our patriarchal way of life! What a disrespectful little [insert choice word here]!’ Oh, the outrage! The scandal!—I’m sticking to my guns. My marital status does not, and will never, define who I am. Why should it be on display? A woman’s marital status is immediately recognisable from her title alone; a man’s is not. Ms, just like Mr, does not bare any reference to marital status; Miss and Mrs do. I will maintain a neutral status, thankyouverymuch. There is no law that states I must change my name. I figure if the law permits me to hold onto it, then there mustn’t be any valid reason not to. It’s an antiquated custom instituted by men to show ownership, pure and simple. Frankly, I just don’t have the time, or the patience, to fill out all the paperwork. 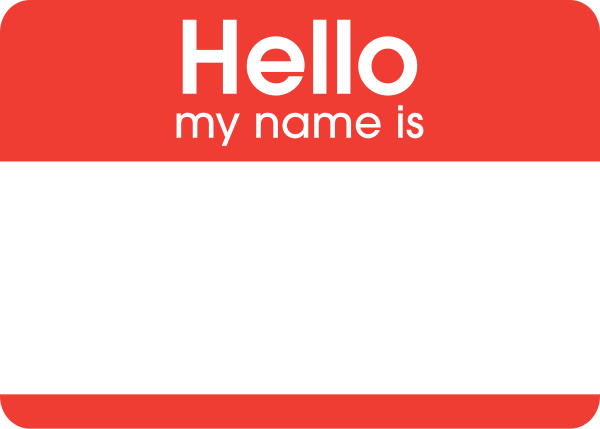 Do you know how much legal mumbo jumbo there is to sort through just to change your name? Seriously, look into it. It’s terrifying! To respond to these hypothetical counter-arguments, I think it’s important to state here that my mother never changed her name; she didn’t have to. She was a Mandarano at birth. (Before you begin to question the finer details of my family tree, no, my parents are not cousins; it’s a simple case of coincidence). So while yes, Mandarano is my father’s name, it is also my mother’s. My name celebrates both my patrilineality and matrilineality. Why should I give that up? Hypothetically speaking, when it comes to starting a family, I would want my children to take both our names. Whether or not they choose to use them as adults is up to them. I’m sure we’d be a great (hypothetical) family, regardless of whether we shared a name or not. And the suggestion that I would be less devoted to my husband if I kept my name is absurd. I keep my name, ergo, I am not devoted to my husband? What a ridiculous sentiment! If he refuses to take my name, does it too show his lack of devotion for me? Yes, that’s what I thought. When I asked my girlfriends their thoughts, their responses varied. ‘Well, I don’t want to change my name. But to be honest, I probably will. It’ll be much easier that way. Less drama,’ said one. ‘You’re keeping your name?! Why? !’ said another, so obviously distressed about the very thought of it. ‘Good on you! Women should keep their names – makes it a whole lot easier to get divorced!’ said the other. Cynical, yet practical. ‘I kept my name, mostly for my dad. I have three married sisters who each took their husband’s names. If I didn’t hold onto mine, it would have died out.’ Can’t argue with that. And my favourite: ‘Get over it, Josephine. You can take his name and still be a feminist!’ Well, thanks for clearing that up for me, oh indignant one. Despite the mixed opinions on name-changing, up to 80% of brides take their husband’s name. It’s the social norm, at least in most English-speaking countries. And what’s surprising, at least to me, is that young women are more likely to revert to 1950s notions of name-changing and marriage than their older female counterparts. I do wonder why this is. Could it be that the older the woman, the more attached she is to her name, and as such, the more protective of it she is? Is it a matter of status for the younger woman? Is she simply thrilled to show off the fact that she is married? A study presented at the American Sociological Association’s annual meeting in San Francisco in late 2009 found that about 70% of Americans agree that it is beneficial for a woman to take her husband’s last name when they marry. They tended to view it as ‘important for establishing a marital and family identity.’ Conversely, the opposing 30% believed that women should keep their names in order to establish a professional and/or individual identity. The attitude of this 30% has an apparent historical connection to 19th century Women’s Rights leader Lucy Stone, who argued that when a woman gave up her name for her husband, she also gave up her identity. She famously declared, ‘A wife should no more take her husband’s name than he should hers. My name is my identity and should not be lost.’ Lucy Stone is the first woman recorded in history to have held onto her maiden name after marriage. A controversial decision in the late 1850s indeed, but it is largely what she is remembered for today. In fact the women’s rights organisation, The Lucy Stone League, which believes ‘in equal rights for men and women to retain, modify and create their names’, was established in her honour. The way I see it, regardless of where my name originated, genealogically speaking, it became mine as soon as my parents signed those papers legally assigning it to me. Choosing to hold on to it does not mean that I respect my husband-to-be and his family any less than if I were to take on their family name. I don’t need to take on their name to prove that I do. Likewise, I don’t at all believe that he is disrespecting me or my family by refusing to give up his name for ours – that is his name as much as Mandarano is mine. But suppose my indignant friend is right. Suppose this is not a feminist issue. Suppose I am being too precious about the whole thing. Suppose I should just get over it. Suppose it is, rather than being ‘a convention that insidiously reinforces power, control and ownership’, as Australian writer Catherine Deveny once suggested, simply, a declaration of family unity—although, just quietly, I’m yet to meet a family whose surname came from mum—well, what then? Should I just forget the whole thing? I guess what it really comes down to is choice. I mean, that’s the whole notion of feminism anyway, right? If you marry and keep your name, then great, I applaud you. If you choose to take his, and wear it with the same pride you would your own, then that’s great too. More power to you. So long as you remember who you are. *My husband-to-be is fabulous. Nothing expressed herein is a personal attack on him, or his unfortunate patriarchal views on marriage. I promise. This article first appeared in Lip Issue 20 – you can buy a copy of the magazine here. We promise it’s packed full of other goodies! When I was married, nearly 10 years ago, both my partner and I didn’t even consider that I would change my name. I had been a MS since I was 12 (when I had read somewhere that MS meant My Self). In the office where I worked at the time, 4 of us were getting married in the space of 8 months. Only 1 of us changed her name. I was a little outraged at this – “but it’s not your name, Mrs X is his mother!” The amusing thing is when my husband is called “Mr P” and answers happily to it. When someone calls me Mrs M, I’m like, who’s that, sorry wrong number…doh that’s me. Kids’ names are interesting. My boys have my husband’s name. My dad was adopted so my name doesn’t have much sentimental history attached. But 6 and a half years after my last son was born, I’m considering adding my name as an extra middle name to both my boys’ names. (A friend in the same office had one of those double-barrelled names and begged us not to give any of our kids the same burden! Besides, you want to be able to fill in forms easily, right!). My supportive, home-dad husband doesn’t understand why I want to embark on an expensive, form filling frenzy across two states. But even filling in the forms and seeing my name there as part of them gave me a little thrill. So maybe that’s what it was for my friend 10 years ago. A little thrill of change; of joining of families, of a new identity?? Just decide to add your name to your kids at birth, save you time and about $100 each! I’ve ended up with a weird not-quite-decided name situation… I use ‘Ms’ everywhere, but its MsMyName at work, and on my credit card, and drivers licence… And MsHisName on my passport, mortgage, and at my volunteer work. I had plans to consolidate everything as MsHisName, but… Eh, 4 years on its just not happening! I genuinely couldn’t decide what to do… Both changing and not changing seemed like more of a statement than I wanted to make! I didn’t think much about changing my name until we were months away from our wedding; it’s just something women do. As I began to feel apprehensive about that, the term “Mrs” started leaving a sour taste in my mouth. Why is marriage so deserving of a title change for a woman, while a man is always “Mr”? From a practical standpoint, I saw the problems my fellow students ran into when they got married: change in student ID, missing mass e-mails from professors, a few not receiving credit for their work because their professor didn’t record it correctly. And this was before I even started looking at social security. I thought, “Maybe after we graduate,” he and I having entered college at the same time. Graduation rolled around, and it just didn’t feel right. My husband actually breathed a sigh of relief when I finally said, “I don’t think I can go through with it.” He is a programmer, and he’s had to deal with irate married students whose information has fallen through the cracks due to a change in surname. I’ve had to deal with the distressed, “Why aren’t you changing your name?! ?” and I’m most sickened when people say, “Well, as long as HE’S okay with it.” Excuse me? When did my opinion suddenly count for nothing? “Won’t your children be confused?” Are children that stupid? For the longest time (relatively speaking), I thought we’d give them his last name, but after encountering other cultural practices, we may be a household of mismatching surnames. There’s no law saying we all have to be the same. Also, what if we didn’t want to have children. We love children, but that expectation is also a little irksome, don’tcha think? I totally agree! And that question, “Won’t your children be confused?” Is just laughable. Your children are going to know who their mum and dad are; and it won’t be their surname which points it out to them haha! This entry was posted in Featured, Opinion and tagged marriage, Opinion. Bookmark the permalink.